From May 12 to May 18, with thousands upon thousands of passionate supporters cheering wildly inside the Big Dome, the pressure will be on the highly touted Gilas 12 to dominate the Southeast Asian Basketball Association Championship (SEABA) 2017 in spectacular fashion. To meet the lofty expectations that come with the mission to win this FIBA Asia Cup qualifier for the eighth time, Team Philippines has been practicing hard for months already. But of course, the preparation would be incomplete without doing a background check on the competition. With that in mind, the ever-reliable FHM hoops staff did its own scouting report on the home squad’s regional rivals. Indonesia’s numerous podium finishes in prestigious Southeast Asian contests—most notably in the SEA Games where they bagged silvers in 2007 and 2015, and a bronze in 2011—are clear signs that they’re steadily on the rise. Perhaps the only reason they haven’t broken through to the next level is they haven’t always had the biggest and most athletic players. To remedy the situation, the Indons are fielding in 6’4” versatile forward Jamarr Johnson for scoring firepower and 6’5” center Anthony Hargrove Jr., a willing banger in the paint. Banking on their physically gifted reinforcements to solidify their already respectable core, Team Indonesia’s confidence has to be at an all-time high. They’re probably looking at a repeat of their predecessors’ 1996 win over the Philippines for their lone SEABA crown. Since British tactician Tim Lewis took over the coaching duties for Thailand a year ago, the team has been all about continuous improvement. Approaching international tournaments primarily to gain valuable experience, the fiercely competitive Thais have made significant strides. Strong evidence of the progress they've made was their second-place finish at the 2016 SEABA Cup, where they nearly won over the Gilas Cadets in a pre-final meeting. They’ll even be more dangerous this time if their plan of getting more length and speed through the recruitment of Thai-Americans Moses Morgan, Freddie Goldstein and Tyler Lamb pans out. Nevertheless, with or without the extra help, the Thais’ fearlessness on the court makes them formidable adversaries. Having won two titles, and a bunch of silver and bronze medals, Malaysia is the second-most successful country in SEABA Championship history, next to the Philippines. But still, the talent gap between the Malaysians and the Southeast Asian powerhouse remains pretty wide. To catch up, Team Malaysia has been making trips around Asia for tune-up matches while some of their main guys have joined the ABL for further exposure to solid hoops action. However, these moves will only pay off in the long run. The current Malaysian contingent will certainly not turn into instant contenders for the upcoming tournament. Gilas would really have to drop the ball to lose to them. Myanmar hasn’t qualified in any of FIBA Asia’s banner events. They aren’t even active in the Southeast Asian basketball scene. We can consider their trip to Manila as one of the first steps they're taking to build a legit basketball program. They’ve got a long way to go before they can match up to a group powered by 12 of the PBA’s best cagers. For starters, Myanmar needs to find taller players. As of this writing, they only have one guy standing at 6’5” while rest of their players’ average height is a depressing 6-flat (barely). Gilas is set to play these guys on opening day and there’s really no need to overthink this one. 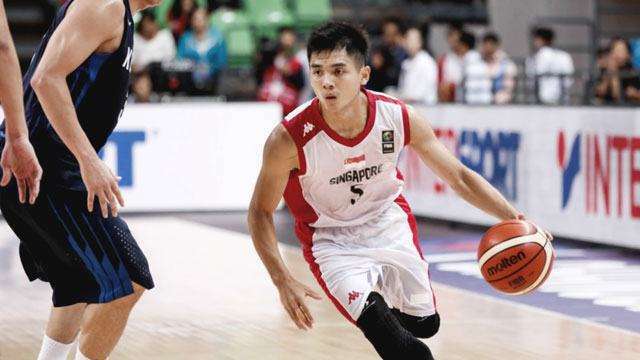 Even without a naturalized player in their lineup, Team Singapore is a squad Gilas shouldn't take for granted. Their key players, led by Wong Weilong, aren’t strangers to playing high-level basketball. 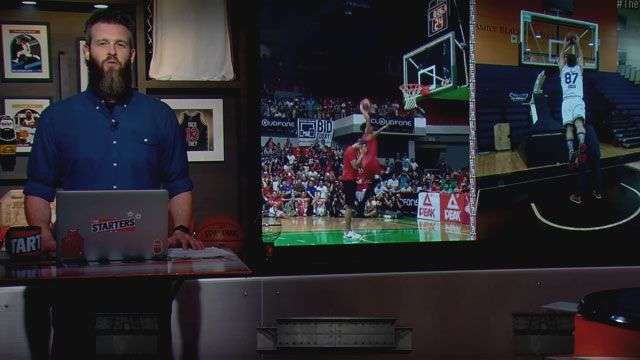 Being members of the Singapore Slingers that played for the championship in the last ABL season, Singapore’s best bets are well aware of what they need to do to succeed against elite competition. This squad, however, isn’t without weaknesses. Lack of height is probably the biggest hurdle they’ll have to overcome. They’ve only got two 6’4” forwards to accompany their 6’8” center Delvin Goh at the frontline. The number of their tall guards is zero. And they’ve got only one player who can play SF that makes it past the 6’0” mark. The biggest question this team has to face come game-time: Can they execute against the bigger and stronger squads of this FIBA sub-zone? Team Vietnam might turn out to be the shortest team in the tournament. Their two tallest players, both listed at 6’3”, will need a lot of luck and Salonpas if ever they come across Andray Blatche and June Mar Fajardo in the shaded lane. It’s just too bad that an all-out, all-heart effort by the Vietnamese crew might not even be enough to compensate for their glaring size disadvantage. Having said that, we believe Gilas as well as the higher ranked teams should stay disciplined when they play these underdogs to avoid encountering unnecessary trouble. Final Word: Clearly, SEABA 2017 is Philippines’ tournament to lose. If Gilas plays the right way, the team will surely keep Southeast Asian basketball in the palm of their hand.